Many 14-year-olds inadvertently narrow their college options before they’ve settled into high school. They do so by failing the gateway course for all college-preparatory high school mathematics: algebra 1. Why? K–12 mathematics instruction often over-focuses on following computation rules to solve problems and not enough on understanding how the mathematics work. 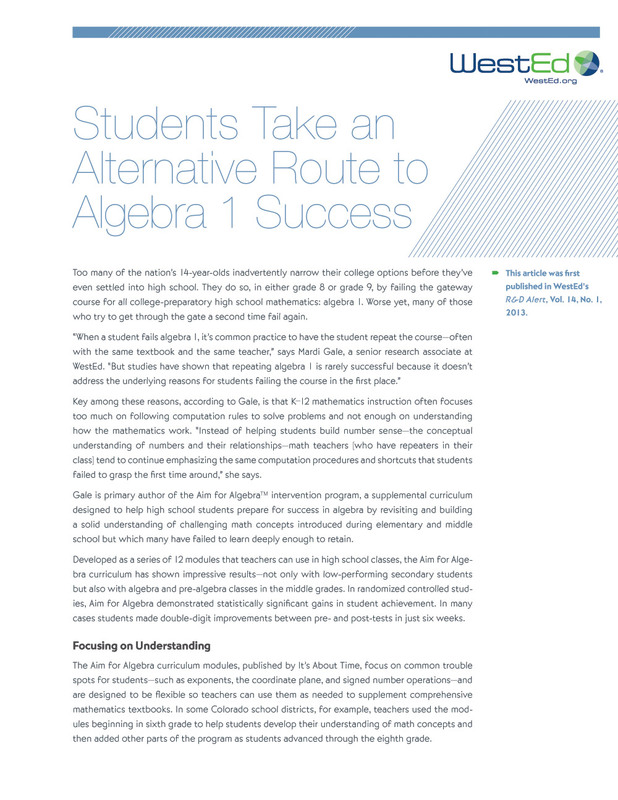 The Aim for Algebra curriculum, developed by WestEd, has shown impressive results—not only with secondary students, but also with ones in middle school. The curriculum modules focus on common trouble spots for students—such as exponents, the coordinate plane, and signed number operations—and are designed to be flexible so teachers can use them as needed to supplement comprehensive mathematics textbooks. 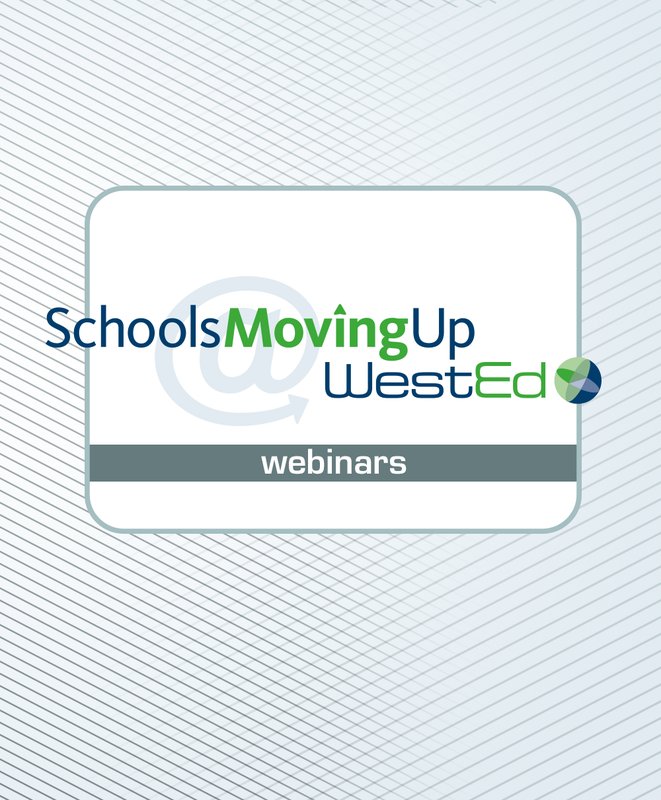 Learn how educators (individually and in group sessions) can make the most of the Professional Learning Modules developed by the California Department of Education (CDE) as part of Common Core State Standards.